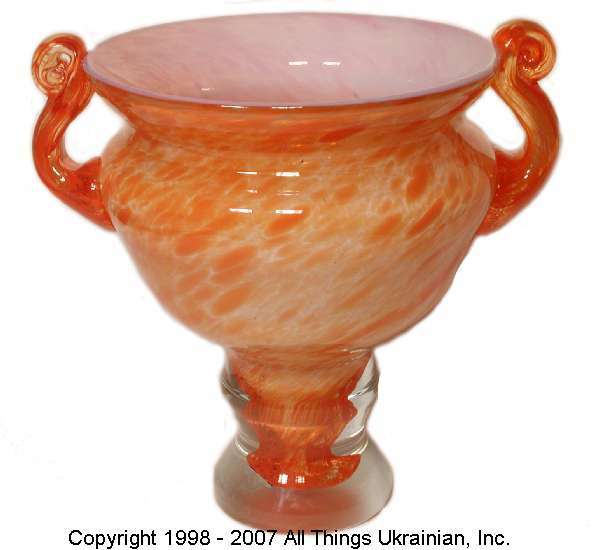 Exquisite mouth blown glass Urn from an artist in Ukraine. We strive to have the photo match the basic design and color scheme. However, since these are individually handmade, they will vary slightly in size, shape and color.